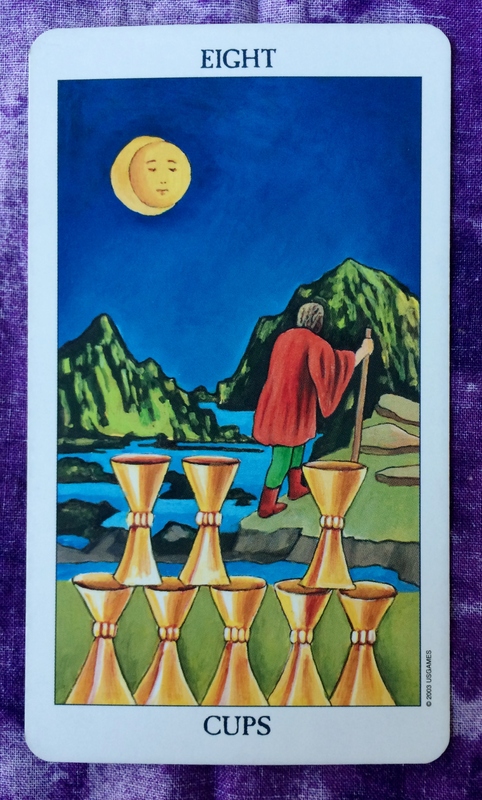 The Tarot card for the day is the Eight of Cups. Time to walk away from what is no longer useful in your life. This may be a serious move or it could be a bit less serious. For instance, maybe you received a gift recently that you don’t like or doesn’t fit, so you decide to exchange it at the store — or re-gift it! Or perhaps you are determined to break some bad habits and you are starting to think about your New Year’s resolutions. Or, it could be time to rethink a relationship or otherwise walk away from an emotional situation. Whatever the circumstance, do what’s best for you and don’t look back.